One of the best selling menthol E-Liquids on the market, and for good reason. 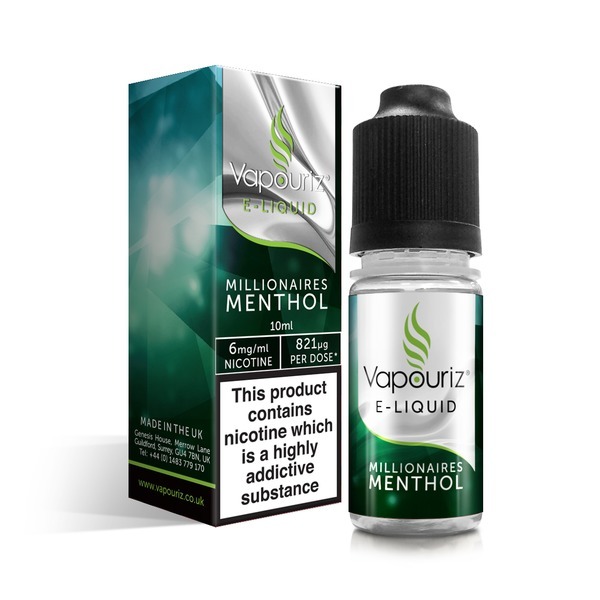 Millionaries Menthol is outrageously cool and mourishly fresh. It took us almost a year to finalise this formulation and we're proud to say that it's finally here! Millionaires Menthol E-Liquid is not for the faint hearted; this is an XXL menthol! Excellent efficient service, easy to use site and value for money. Always used Millionaire menthol and used to buy locally but saved money with Puff Daddie. I've been using these vape liquids and coils for about a year now. This company is the cheapest that I've found anywhere and delivered the items to me very quickly.highly recommended will definitely be using again. Couldn't find this vape juice in stock anywhere else, and you had it delivered to me the next day. Brilliant service. Fast delivery. Great product at a reasonable price.